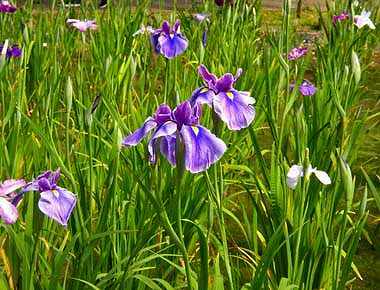 Iris has been one of the most favorite flowers for Japanese people from the ancient times until today. The flower has inspired the people with passion of love and dignity. 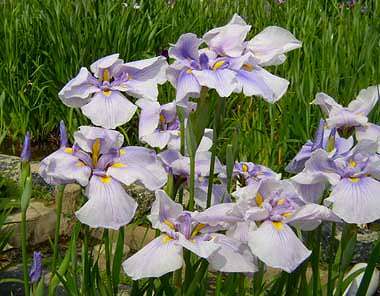 Already in the 10th century iris was praised as a symbol of love in the famous book of love romance, Ise Monogatari. Wrapped in the bed clothe embroidered with irises. 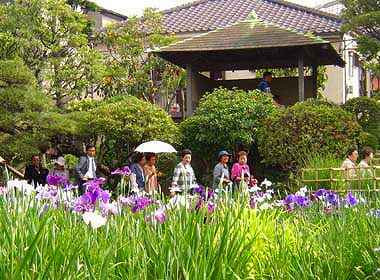 In Tokugawa period, iris gardens were opened at many places around Edo, especially in the east of Sumida river. Most of them gave way to urban development, but fortunately the oldest one remains today. 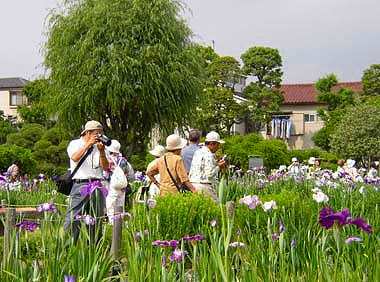 Horikiri iris garden was opened at the beginning of the 19th century. About 200 species of irises are in full bloom each June. 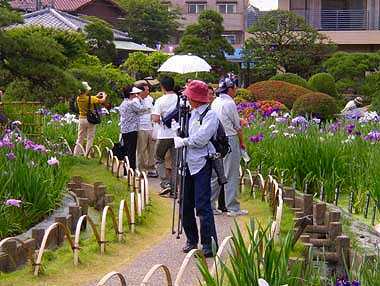 Cherry blossoms, wisteria, water lilies and other plants are also enjoyed during the rest of the year. 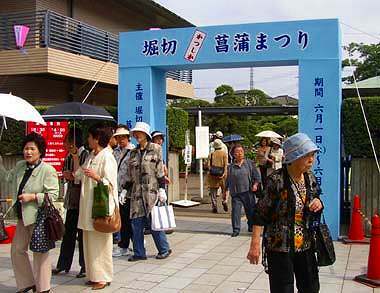 It takes 10 minutes walk to get to the garden from Horikiri Shobuen station of Keisei line. spreading out and covered with beautiful flowers. 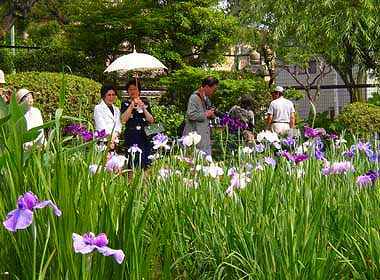 Leaves of iris are believed to be useful for growth of children. So parents in Japan put the leaves into bath water for their children.